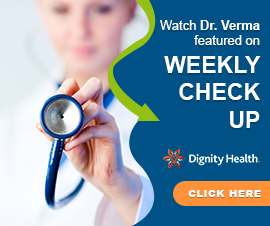 Do pollen, dust mites, pet dander, or other allergens make you miserable with cold-like symptoms? You may have hay fever, otherwise known as allergic rhinitis. You’re not alone—an estimated 8 percent of American adults and 10 percent of American children suffer from seasonal or persistent hay fever. Fortunately, the professionals at Allergy, Asthma, & Immunology Medical Group can help by providing an expert diagnosis and effective treatment options. The first step in finding relief for your allergy symptoms is getting an accurate diagnosis. After all, the symptoms that commonly attend hay fever, such as runny nose, itchy or watery eyes, sneezing, congestion, ear popping, and sinus headaches, can have other causes besides an allergic reaction. 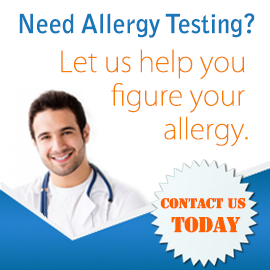 To determine your allergic profile, we typically recommend two tests. First, we perform a skin prick test on your back. Then, we administer an intradermal skin test on your upper arm to check for certain important allergies that the skin prick test may miss. Both of these tests deliver results in about 15 minutes, enabling us to quickly confirm the diagnosis of hay fever and move on to discussing treatment options. We can also check to see if you may have another condition that can make your hay fever symptoms worse, such as nasal polyps, asthma, or sinusitis, and tailor your treatment options accordingly. The most common treatments for hay fever include oral medication, medicated nasal sprays, and allergy shots. Allergy shots, or immunotherapy, is often recommended for patients who have severe hay fever, have not found relief through medications, or have experienced too many side effects with medications. This therapy is the only treatment that can actually eliminate hay fever rather than just controlling the symptoms. Ready to feel better? Please contact us today to set up an appointment at one of our conveniently located medical offices.